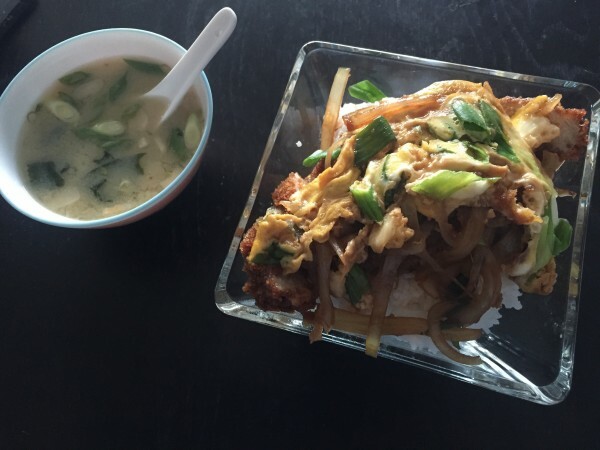 Recent eats. - I bet you think this blog is about you. 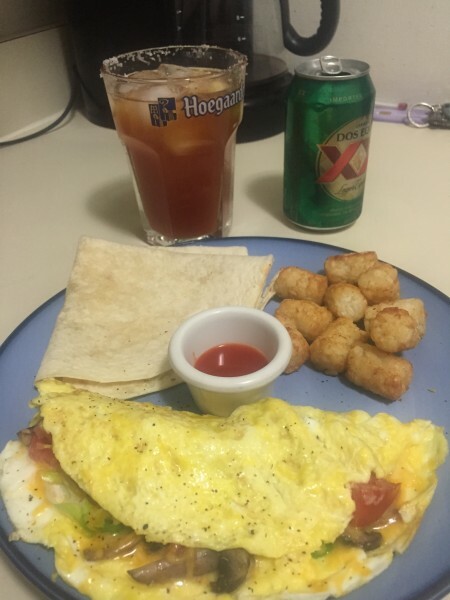 I should hire a food photographer. 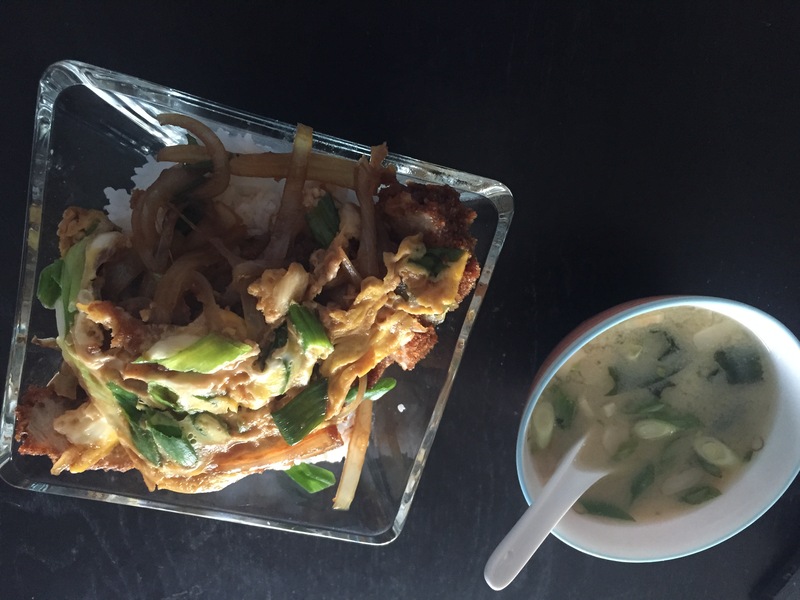 Dinner last night: miso soup and pork katsudon. Expertly made by Brian. 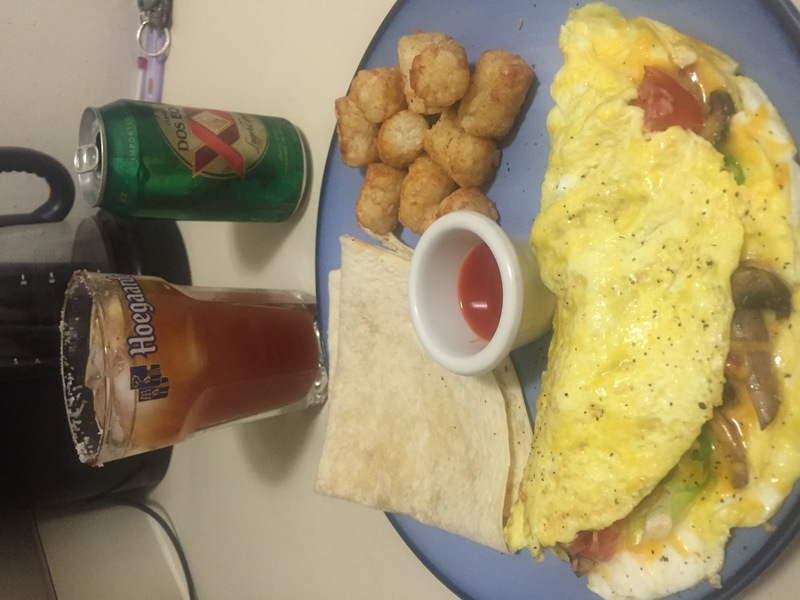 Brunch today: cheddar/tomato/mushroom/scallion omelet, tater tots, tortilla*, and a michelada. Somewhat gracefully made by me. funny enough, that's the one chore i actually enjoy doing. packing my bags!